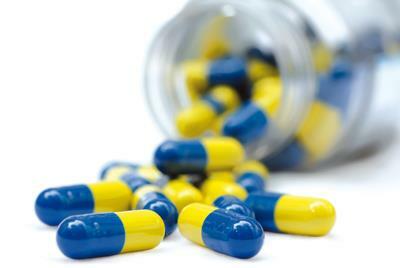 If you are on a regular, long-term medication, your doctor may set up a repeat prescription. This means that you can re-order your regular medication when you are running low on supplies, without needing to see a doctor every time. You will still need to see or speak to a doctor or nurse for unscheduled or one-off medication. 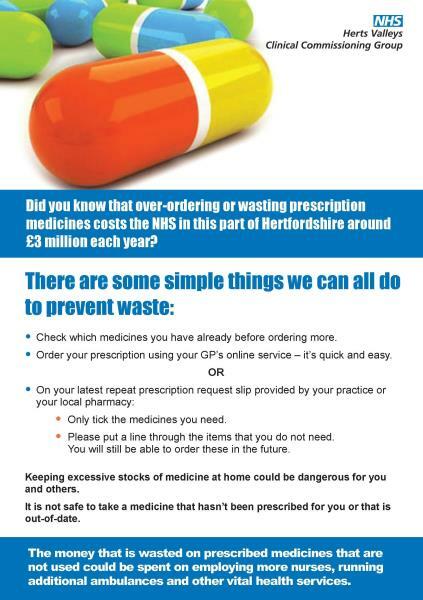 Patients on repeat prescriptions will have a tear-off re-order slip attached to their green prescription. This can be used to indicate to the surgery when you need more of your regular medicines. Please note that all patients on repeat prescriptions will still have to see a doctor periodically (for their “review date”) to review their medicines. The review date is printed on the repeat prescription reorder slip. Please note, requests take 2 full working days to be completed. Via Reception - Tick the box(es) on your re-order slip and hand it in at Harvey House Surgery or Jersey Farm Branch Surgery reception. Your prescription (and a new re-order slip) will be available to collect from reception within 2 full working days. Postal Request - Tick the box(es) on your re-order slip and send it to the surgery by post. Please include a stamped addressed envelope for a reply. We will issue your prescription and put it in the post within 2 full working days. Via a local pharmacy Repeat Collection & Delivery Service - Many local pharmacists offer a free Repeat Collection and Delivery Service. (Please contact the pharmacist directly and they will explain their system to you). A list of the local pharmacies can be found on the NHS Choices website. Please also remember that your local pharmacist also offers face-to-face advice on many aspects of health as well as prescribed and over-the-counter medicines. Electronic Prescription Service (EPS) - You can ask at Harvey House or Jersey Farm reception or at any pharmacy that offers EPS to add your nomination for you. Nomination means you choose a place for your GP practice to Electronically send your prescription to. You don’t need a computer to use EPS. You can change your nomination or cancel it and get a paper prescription. If you don’t want your prescription to be sent electronically just tell your GP. If you want to change or cancel your nomination speak to any pharmacist that offers EPS, or at reception. Tell them before your next prescription is due or your prescription may be sent to the wrong place. Harvey Group Practice, as a member practice of the Herts Valleys Clinical Commissioning Group have put into place the changes recommended from the Lets Talk Campaign. Full information is on the HVCCG website on: http://hertsvalleysccg.nhs.uk/news-events/893-hertfordshire-nhs-organisations-announce-public-consultations-on-proposals-for-service-changes and we were pleased that members of our Patient Participation Group were able to comment on these and feedback into our last PPG meeting to advise patients. Harvey Group Practice has a Routine Repeat Medications policy, which states that we will process all requests for prescriptions and provide a prescription within 2 working days. For example a prescription request given in before 6pm on Monday will be ready after 2pm on Wednesday. Prescriptions requested before 6pm on Friday will be available after 2pm on Tuesday. We receive over 800 of these requests every week and process almost all within 48 hours. We believe this is an excellent turnaround time and exceeds that of many other local practices. A request for an urgent medication is not processed in the routine way by our Receptionists, but by our on call Doctor. This takes them away from urgent clinical queries, and increases the risk of a prescribing error. We have made a decision that unless your request falls within a certain narrow range of emergency drugs, shown below, then your request will be processed according to the routine repeat prescribing policy. This ensures safe prescribing and optimizes access to the clinical team. All other requests will be processed routinely. This policy has been implemented to protect Doctors’ time for more clinically urgent matters, and we believe this will help us to provide you with a more safe and robust prescribing system.